A misty and chilly start to the morning resulted in near perfect conditions for the 30th Paddock Wood Half Marathon. With the promise of a Pub Lunch afterwards we were represented by Elizabeth, Stephanie, Caz, Paul, Jon K, Chris, Dan, Nick and Jon. Organisation at this event was excellent, as usual, although Paul nearly missed the start, momentarily forgetting it was a 9.30 start, not 10.00. Paul did manage to guide his way “politely” to the front just before the 9.30 gun sounded and went on to record a PB. After the race a few of the team went to the Poacher and Partridge for a Sunday Roast. 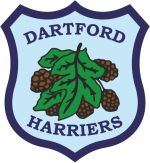 This presented a great opportunity to reflect on the race and to discuss arrangements for the next Dartford Harriers social. Looking ahead, our athletes will be competing in a range of Road Running fixtures which are summarised below. 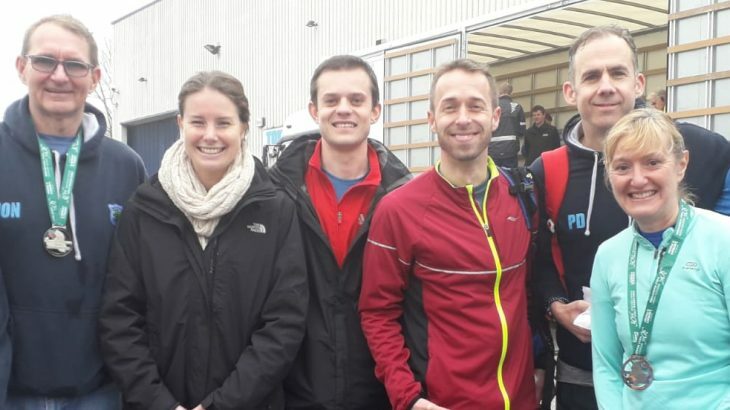 It would be great to see as many Dartford Harriers Athletes competing as possible, and then attending the post-race gathering. Report written by Jon Ives.